Immaculate and well-maintained lake cabin on clear, deep Pickerel Lake. 2-car garage wired for 220V. Wonderful southerly view from the deck, and a gentle breeze offers a cooling effect. Woodburning stone keeps this cabin toasty during crisp fall days. This cabin is ready to move in and enjoy the lake. Clear and deep, and good fishing for northern, walleye, bass, and panfish. 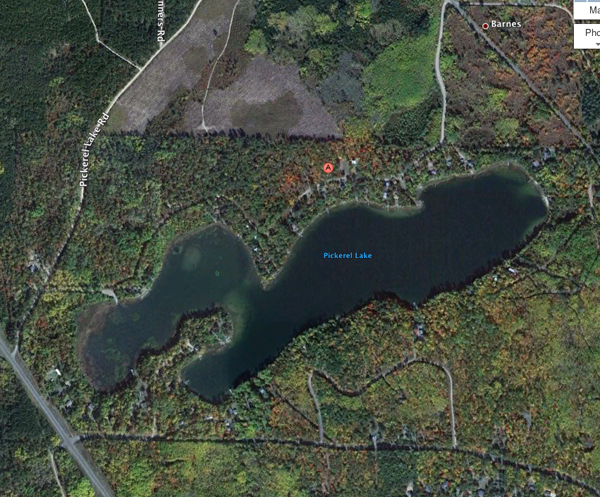 Located in Barnes WI lakes and recreation country with many other lakes and recreation activities nearby. Less than a half hour to Hayward for shopping and restaurants.